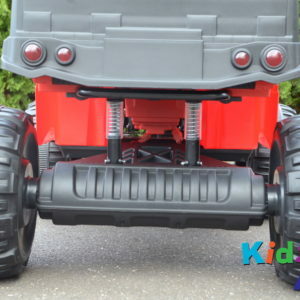 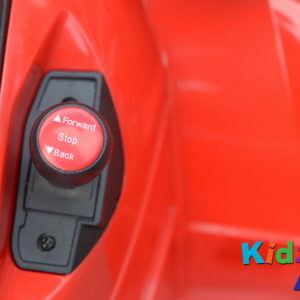 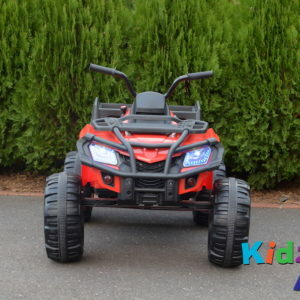 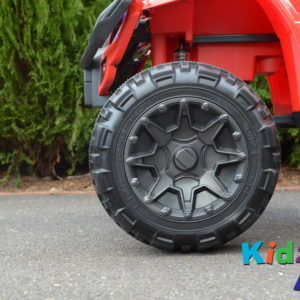 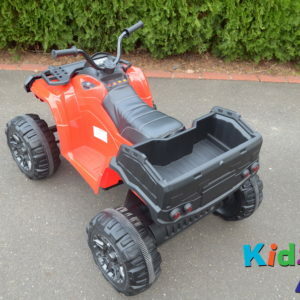 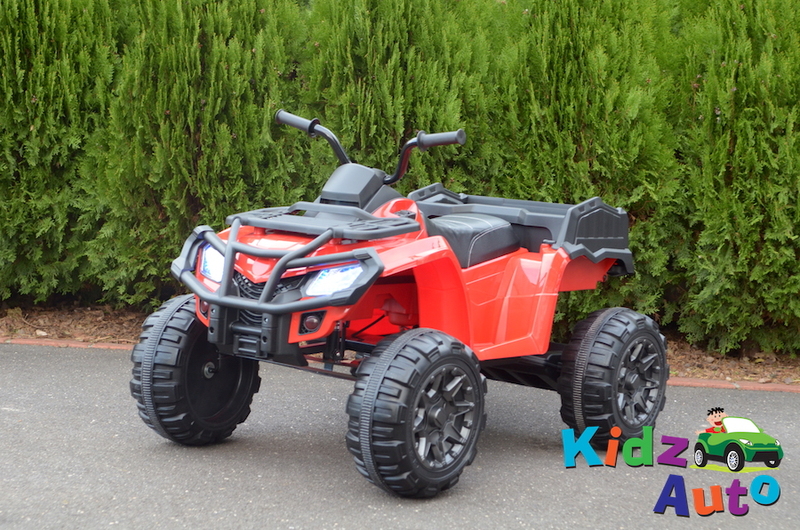 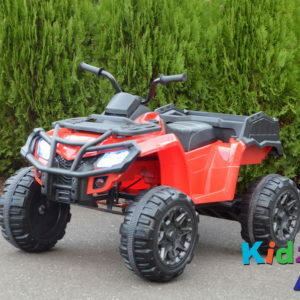 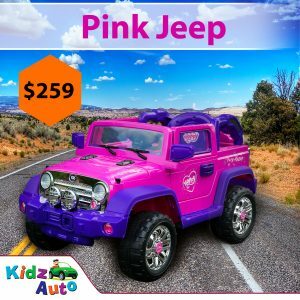 Here at Kidz Auto, we are thrilled to introduce you to this mean wheeled 2018 Red ride on ATV. 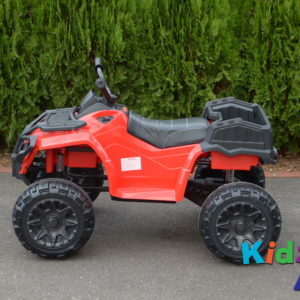 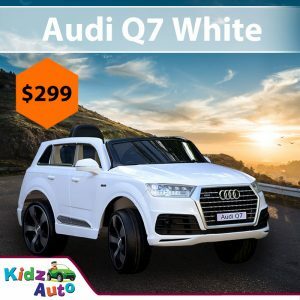 Add-ons include an amazing 2.4G radio control which offers a more responsive and quicker reaction time and a 12V7AH battery, rubber wheels for a great ride on terrain and added suspension for comfort and control. 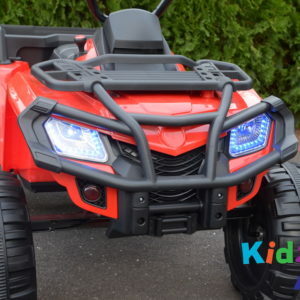 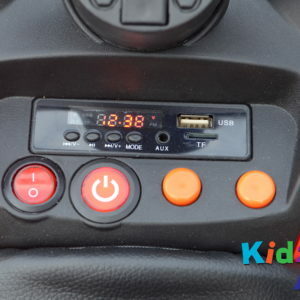 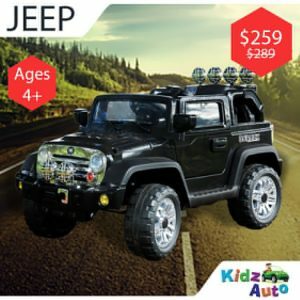 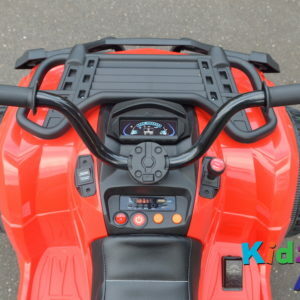 Let your kids enjoy a fully working radio, MP3 function and working lights, your child will love the freedom and excitement this ATV provides.